If you would like further information about the Walk or the Friends or wish to contact us about any nature topics concerning the Walk, please click here to send the details to us by email. Fisherman's Walk was the final stretch of an ancient route taken by villagers of Holdenhurst to reach the sea for fishing (and maybe a bit of smuggling in the 18th century). 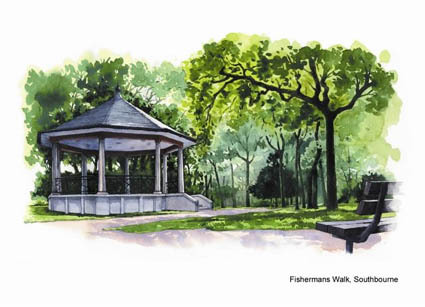 As Southbourne started being developed in the early twentieth century, this strip of land was preserved in 1913 as a park for the enjoyment of residents. It has also become the refuge for wildlife which adds to its attraction. This display introduces some of the 'regulars'. 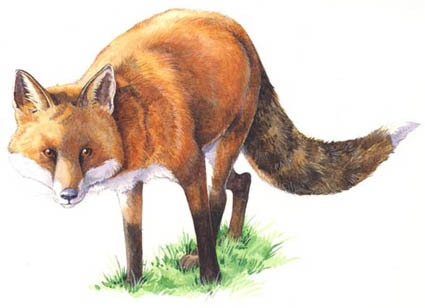 Persecuted in the countryside, the Fox has been using railway tracks during recent decades to invade the urban areas where it is now quite common. It feeds mainly on carrion, earthworms and small mammals. 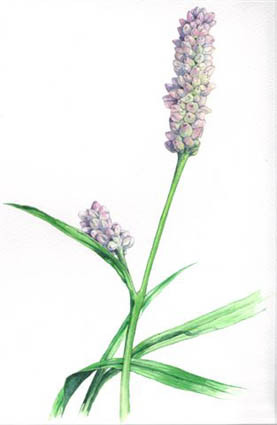 This is the commonest of the bistorts, giving red flowers during the latter half of the Summer. After Bournemouth was sold off in 1805, many plots were turned into plantations. 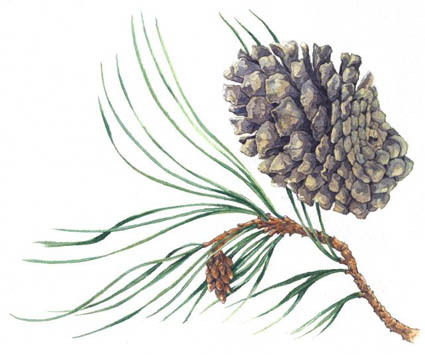 Pine trees were grown as a cash crop, not only native Scots Pine, but Maritime and Monterey Pines were introduced. 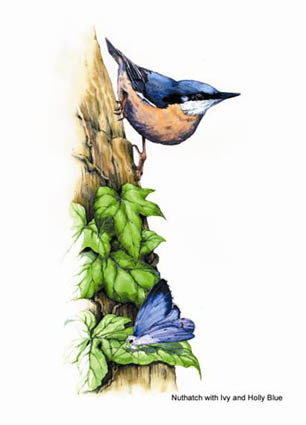 This delightful blue bird can often be seen running along tree trunks. It gets it name from the practice of wedging nuts into cracks whilst it breaks them open with its beak. There are several blue butterflies but the most common at Fisherman's Walk is the Holly Blue. It thrives because of the many bushes, not just the hollies. It has two broods, in April and July. This creeper is dependent on trees and shrubs for support and can be somewhat destructive in the process. However, its dense foliage gives habitat for spiders, and its Autumn flowers give nectar to insects before the onset of Winter. This is a naturalised flower from south-west Europe, and was probably introduced because of the red dye obtainable from the roots: its name is derived from the Arabic 'al henna'. 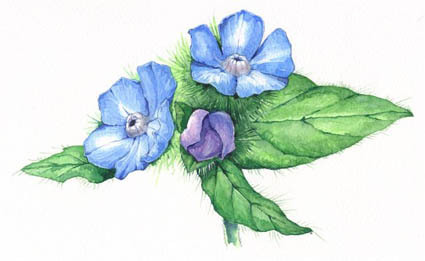 Although the flowers are small, its abundance gives Spring colour. This is often seen throughout the Summer sunning itself on the foliage. 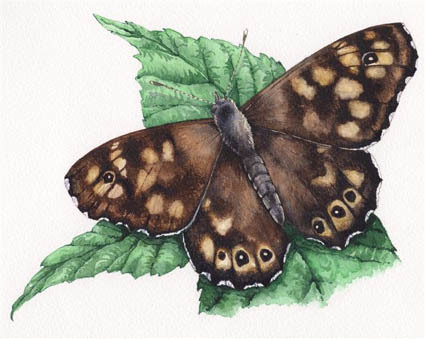 It is a true woodland butterfly with its dappled colouring imitating the sunlight through the leaves. This is the most numerous of the trees present at Fisherman's Walk. 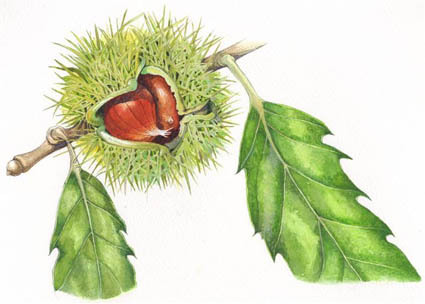 The species was probably introduced by the Romans from Spain but is now naturalised. Its nuts provide useful food for the wild animals and birds. 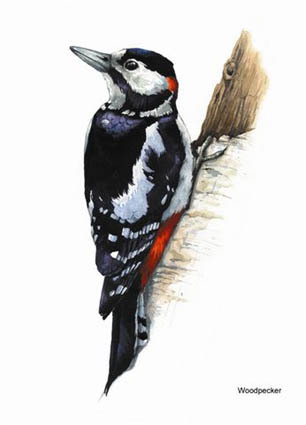 Whilst the Green Woodpecker may often be seen on the ground, the Great Spotted Woodpecker is more noticeable when drumming on tree trunks during the mating season. 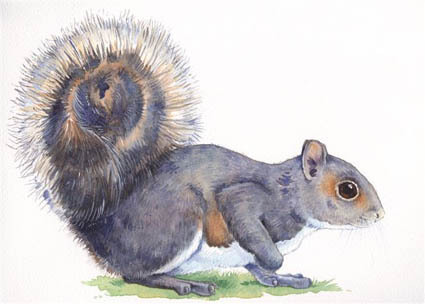 This North American 'tree rat' was introduced into Bournemouth in 1922. Nationally, it has spread right across most of England. It is often despised but its cuteness and boldness provide young children an opportunity to observe a wild creature at close quarters. 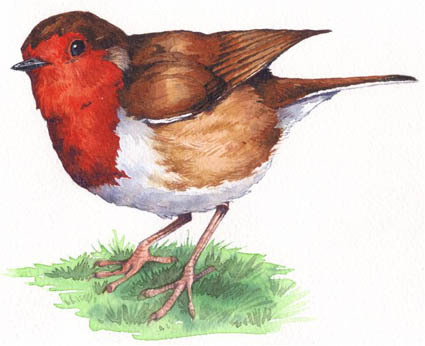 The Robin is the nation's favourite bird, usually associated with Christmas because its red breast looks like a Victorian postman. It is very territorial, and sings all year long to demarcate its presence.